From the Mysterious Universe website: Tales of these imaginary friends that were not so imaginary after all. There are quite a few cases we have had where a child is seeing something in their closet or under their beds. A boogie man. Something scary. And there has been on the opposite scale, children who see other child spirits who are friendly and want to play with them. They have tea parties, long conversations and play time together. Some children want their parents to know about their “friends” and others keep them secret. People chalk it up to an over active imagination or a lonely child trying to invent a companion. 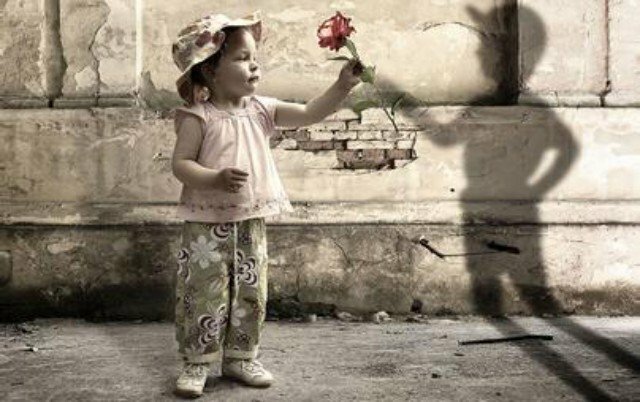 The “imaginary friends“ turn out to be spirits of departed children (sometimes adults) who are attracted to these living children for various reasons. Usually they’re child spirits waiting for their parents to cross them over and while they’re waiting, they have found a friend to play with. Eventually either the living or the dead move on and things change. But unless the child is experiencing something frightening or upsetting, there’s nothing wrong with them being able to see and interact with spirits and parents should ease up on the thoughts of mental illness or made up stories by their children. In a lot of the circumstances, both the dead and the living need each other for that small period of time. Give it to them. ← Merry Christmas & Joyous Yule!